In domestic violence situations, our empathy and concern is usually for the adult victim. However, if children are part of that tangled, distorted relationship, we may forget that they are victims, too. No matter how hard you may try to hide the abuse from your children, there comes a point when it is impossible to do so. I never sat my daughters down and explained to them that mommy and daddy didn’t belong together, as they were only 6 and 2 when our marriage finally exploded. But they’re smart, sensitive girls. They knew something bad was going on. I could see it in their faces. Cameras don’t lie. To this day, it’s still hard for me to look at birthday photos from those early years. · Witnessing violence between one’s parents or caretakers is the strongest risk factor of transmitting violent behavior from one generation to the next. · Boys who witness domestic violence are twice as likely to abuse their own partners and children when they become adults. Domestic violence is an equal opportunity destroyer among both boys and girls, who don’t escape unharmed, either. “Without help, girls who witness domestic violence are more vulnerable to abuse as teens and adults,” states Safe Horizon, the nation’s leading victim assistance organization, on its website. 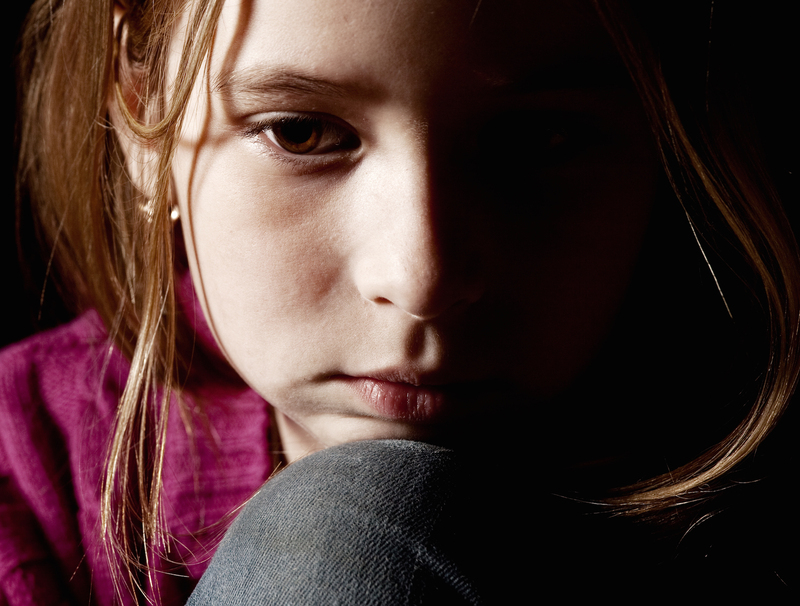 Safe Horizon also reports that health problems are common among children who witness domestic violence, too. They are sick more often, suffer frequent headaches or stomachaches, and are more tired and lethargic. I don’t know about you, but as a mother whose children were exposed briefly to domestic violence, these statistics scare the hell out of me. I’d like to think that I got out in time and saved my daughters from becoming victims themselves. By all accounts, it looks as though I did. My oldest daughter is getting straight As in nursing school, and we are waiting to hear which of the five film schools that my creative youngest daughter applied to will be lucky enough to welcome her as a freshman. But taking that first step to getting out of my violent situation was one of the hardest things I have ever had to do in my life. When he crossed the line from verbal to physical abuse and caused an injury, I had my husband of almost 10 years, my lover and the father of my children, arrested—something authorities say only one out of 100 abused women have the courage to do. Ever mindful of shielding my children from the truth, I had arranged for my oldest to be safely tucked away at a friend’s house, and I made sure that my youngest was napping peacefully, completely oblivious to the chaos happening downstairs in the garage, when six policemen descended on my home. I felt like Judas when they cuffed him and took him away in front of the neighbors. I cried my eyes out. But then I realized it was really he who had betrayed me so long ago with his uncontrolled anger and verbal abuse. In retrospect, every fight we had ever had was leading up to this final, clumsy waltz, a fitting crescendo to a relationship so out of step from the start. The best way to shield your children from the damaging effects of domestic violence is to get out of the situation completely. If you don’t have the strength to save yourself, then muster the courage to do it for your children. Remember, they are watching, listening and learning. And just as those long-ago birthday photos now reveal to me, they are just as frightened as you are.